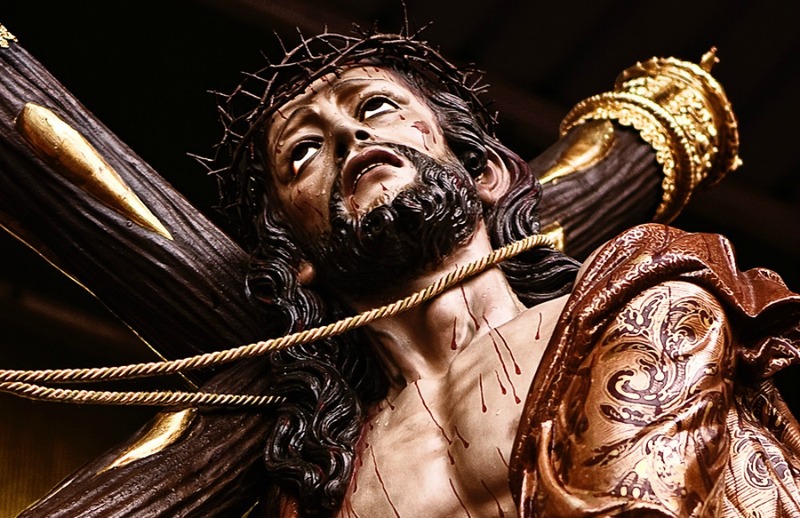 Throughout the week over thirty spectacular processions, known as pasos, take place each organised by a different hermadad Catholic brotherhood. Every one passes the cathedral where they pause to make the Station of Penitence before returning to their churches. Brass bands play soulful marches setting the pace of the pasos, as they make their way through the streets of the city. Each paso carries a float, on the shoulders of many costaleros, upon which a religious icon, Mary or Jesus, will be seated on a throne. These are followed by nazarenos, or penitentes, garbed in the long hooded gowns and the carrying figures of the cross. The women dress in black and carry candles and crosses. One of the most notable processions is Wednesday evening’s Gypsey Procession el Cristo de los Gitanos which climbs the steep Cuesta Chapiz into the Albayzín and proceeds along a route lit with bonfires to Sacremonte finishing at the Sacromonte Abbey in the early hours of the morning la madrugada. 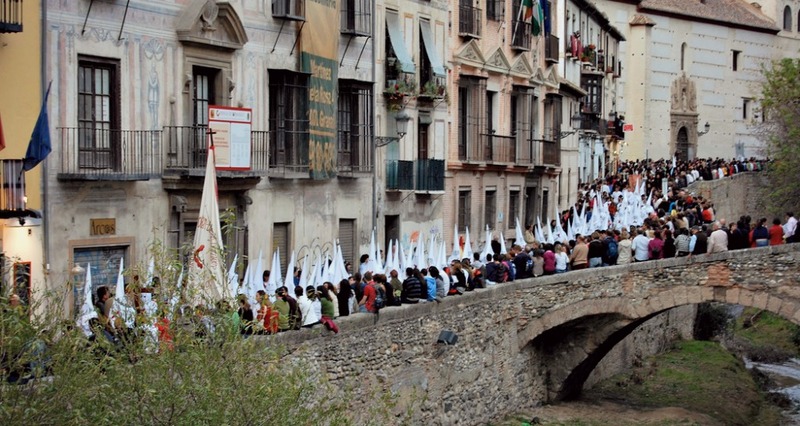 There is also a children’s procession on Easter Sunday starting at 11.30 from the Church of Santo Domingo. If you are planning a trip to Granada during Semana Santa book your accommodation before Christmas or get onto it first thing in the New Year as you will find that most hotels are fully booked for Easter Week by mid January.